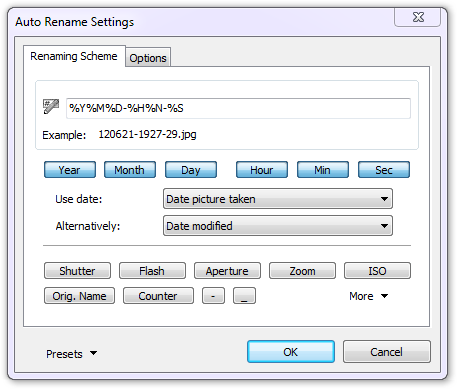 One part of the EXIF header is standardized and contains information such as date and time pictures were taken, shutter speed and aperture or whether the flash was used. But a lot of information such as program mode, white balance settings or lens data, is stored in the Makernote block, which is proprietary and can usually only be read with special software from the camera maker. PIE, however, contains the most extensive Makernote database on the market. 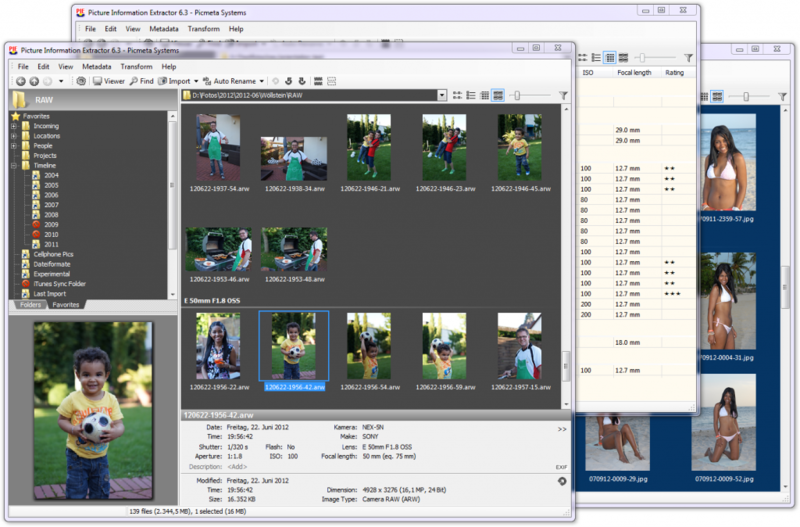 With one single tool, you can review pictures with all the metadata from almost any camera. Furthermore, PIE allows to edit EXIF and IPTC data*, add and delete tags, change capture date/time in JPG, TIFF and RAW formats, lossless rotate and update embedded thumbnails, without destroying the Makernote block, and without affecting the image quality. Editing with other programs, be it just the Windows file properties dialog, will erase or probably corrupt the Makernote data. Using Photoshop will even recompress the JPG-image. * Editing features are only available in the commercial version. 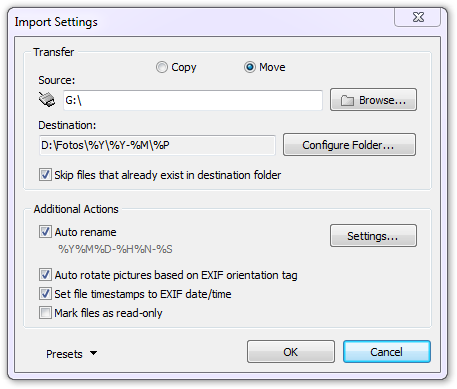 If necessary, changes on EXIF or IPTC data are automatically reflected in the corresponding XMP tags. PIE is therefore fully compatible with Windows Explorer, Adobe Photoshop, Lightroom etc. With the help of the photographic information read by PIE, you can improve your photographic skills. Understand digital camera functions and analyze shutter, flash use, aperture, zoom position, quality settings and more. A Report Generator allows to export file lists with metadata to Excel or standard text files. PIE allows to remove the metadata for clean, privacy protected pictures. 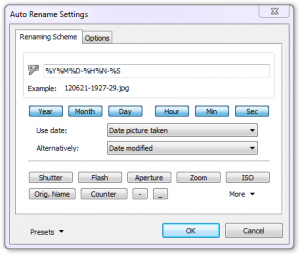 PIE is also a sophisticated file renaming utility that takes into account the extracted metadata to rename picture files keyed to the date and time as well as other photo information. This is handled by a filename mask which can be customized easily. No more hassle with all the DSC00xyz.jpg and IMG00xyz.jpg on your computer. Define one filename format and apply it to all photos, inclusive the ones that you get from others with different cameras. With almost no effort, your photo archive will be as tidy as never before. Companion files such as .thm thumbnail files, .xmp sidecar files or .wav audio files are also renamed correctly. PIE is a file manager. Browse through folders, sort, move, copy, delete and rename picture files. Open any other imaging application from there. 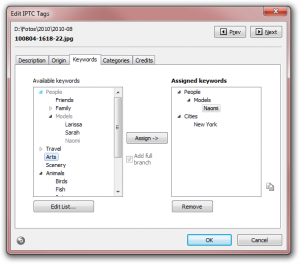 Search files by filename fragments, keywords, categories, description or other metadata. 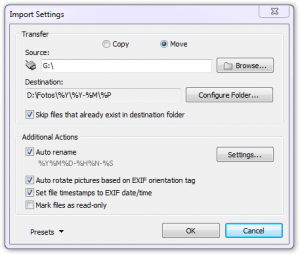 Delete RAW+JPG files with one click, even though they were imported to different folders. PIE has a fast integrated picture viewer. Use the mouse wheel to zoom into or toggle between pictures, cursor keys or mouse for panning, function keys to display or hide information. One single key or click starts the slideshow or switches to the browser window. No other tool lets you fly through your pictures so pleasingly. Besides, the viewer supports RAW files from almost any digital camera. A life saver in digital photography is the ability to adjust the date/time picture taken (EXIF date/time). 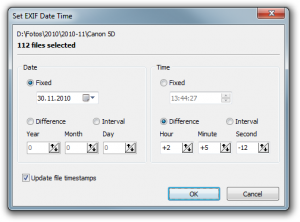 You can either set a fixed date or increase/decrease the time parameters by any number. This can be done in batch mode with any number of selected files. It is also possible to set the file timestamp (date created or modified) according to the EXIF date/time, which is helpful for correct sorting in other applications and devices (iTunes). 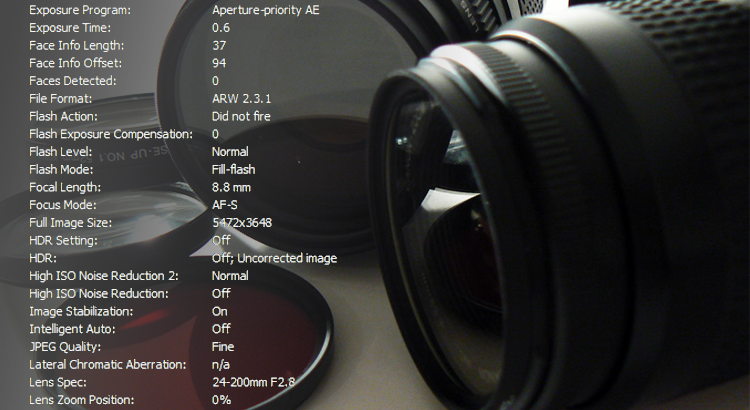 Change EXIF date/time works on JPG, TIF and RAW (.crw, .cr2, .nef, .orf, .arw, .pef, .mrw, .dcs, …) files. PIE allows you to rotate and crop JPG pictures without any loss of quality. It is done without decompression/compression. The »lossless rotation« gets your portrait format photos right, with just a single button click, automatically and in batch mode. PIE can also rotate RAW files. 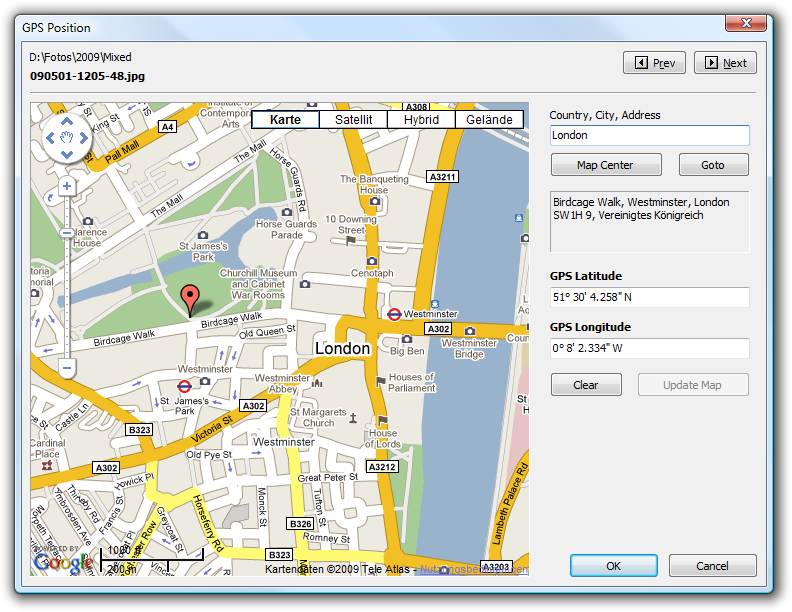 The Geotagging feature lets you view and set the photo position in an interactive map. You don’t need any GPS logger or special camera to use this function. 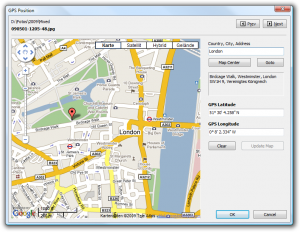 Edit the GPS coordinates in single file or batch mode. It is also compatible with iTunes and enables browsing your albums by location (iPod Touch, iPhone and iPad). 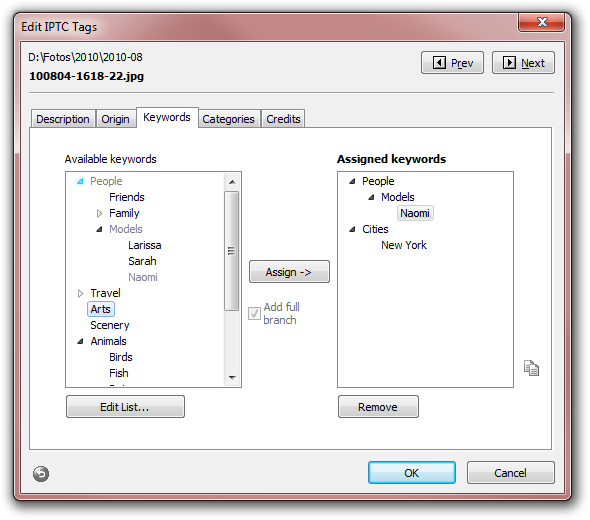 PIE provides a powerful editor for IPTC data, including hierarchical keyword management. In batch mode, individual keywords can be added or removed without affecting the rest of the tags. Along with custom defined and easy-to-use templates there are countless possibilities for adapting PIE to your workflow. Experience the flexibility and convenience when you import your images with PIE. It moves or copies photos and videos, renames them as defined in the filename mask and rotates photos taken in portrait mode. It can also automatically create folders in a custom directory structure and put the downloaded files into the right folders based on date/time as well as camera model and file type (Image, RAW, Video). Works also perfectly with iPhone and iPad, als well as with cameras connected via PTP/MTP (PictBridge). 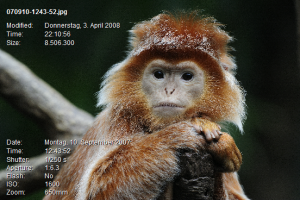 Sort files by date picture taken, shutter, aperture, focal length, ..